A helpful compilation of statistics on concussions, exercise-induced asthma, exertional heat illness, sudden cardiac arrest, exertional sickling, use of steroids and dietary supplements, and cervical spine injury collected by the National Athletic Trainers' Association. 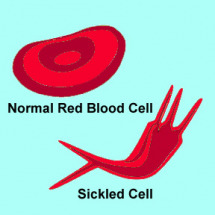 With the summer sports season in full swing and preparation for fall sports participation and training around the corner, it's time to revisit the guidelines for athletes with sickle cell trait. March is National Athletic Trainers Month. Although the number of athletic trainers at U.S. high schools is increasing, the latest statistics suggest that less than half have an AT on staff. Here's a video that shows just how important they are in keeping our kids safe.